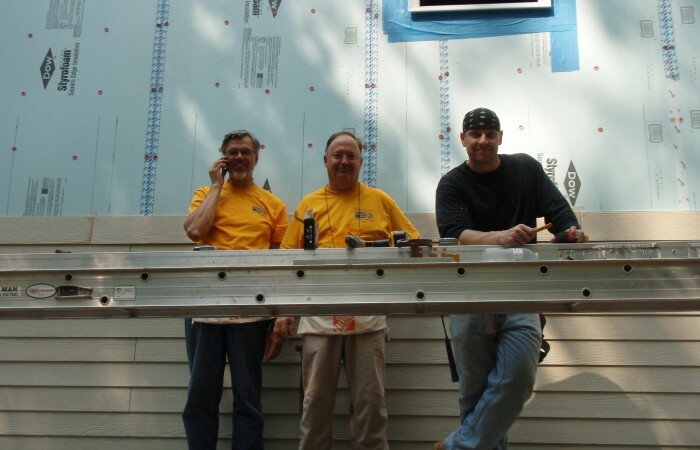 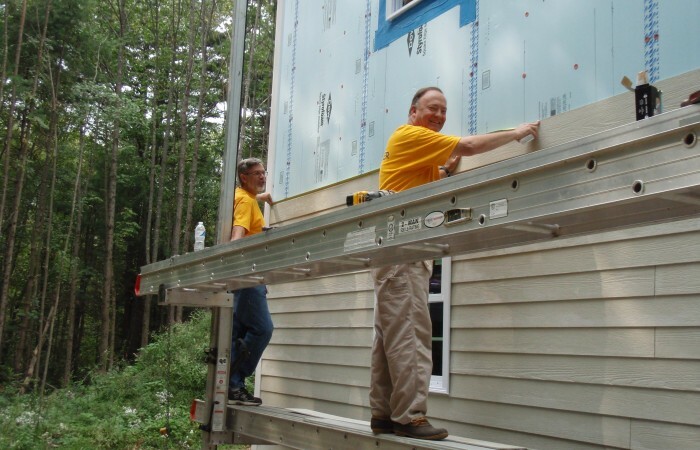 2011 - Klaus, Peter, Randy (owner of the Habitat home). 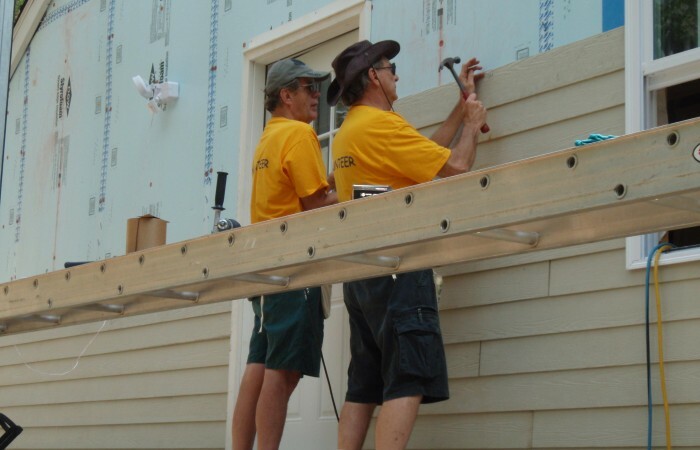 Bob & Carl - Make sure it's level! 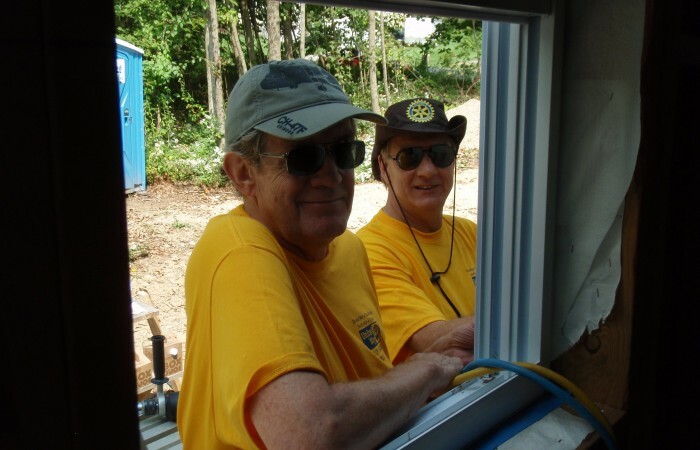 Bob and Carl - This is hard work!